HS2 coming through Culcheth will have a devastating effect. Therefore it will affect some houses and that means many may have to be knocked down. However this will cause problems for families living in these homes and many businesses will be stopped and shut down, such as The Black Swan. 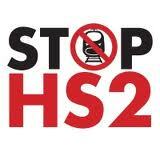 BBC School News Report HS2 from Sharen Sullivan on Vimeo. bus project from Sharen Sullivan on Vimeo.